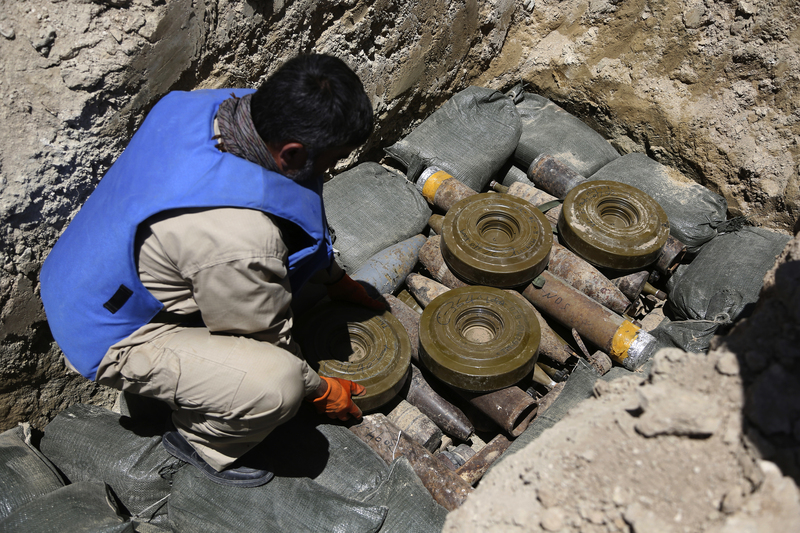 Mines and improvised explosive devides (IEDs) left behind by the Islamic State (IS) are sometimes hidden in the most unforeseen spots. To allow residents to return, Germany helps remove the deadly traps by supporting clearing missions. Before the removal of mines, the situation on site is dramatic: When a family returns home, small things and natural habits, such simple things like opening a drawer or picking up a toy, may result in one of the destructive and devastating explosions whose sounds are all too often heard across the country. Water canisters, old barrels, upside down bowls, an exhaust pipe that has fallen off a car – everything needs to be looked at with suspicion and awareness of its possible danger. When clearing the western Iraqi cities of Fallujah and Ramadi, where the IS has been ousted last year, as many mines as never before exploded. Over 100 civilians died, but also an exceptional number of specialists who worked on clearing the area. For parts of the northern Iraqi city of Mosul, experts anticipate a similar scenario. In the western part of town, the IS entrenched itself until the end. But in June 2017, the Iraqi army and its allies were able to also recapture West-Mosul. In the future, those who once had been living there will be able to return – though only after the mines are cleared. 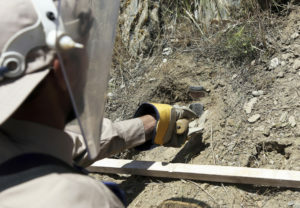 Since there are so many of them, the German Federal Foreign Office, alongside other donor states and the UN, supports companies who are able to clear the area of so-called improvised explosive devices (IEDs) under extremely difficult conditions and who at the same time train locals with this expertise. 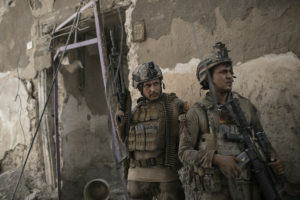 As the first ones to enter the neighbourhoods after the soldiers have freed the areas, they also like to call themselves “The-Day-After-People”. “Experts who are experienced in the removal of mines and who have worked all over the world are part of our team,” says the head of Janus Global Operations defuse-team, a US company that already operated in Ramadi and Fallujah and is now active in Mosul. “Every single one of them reports that the situation in Iraq is possibly the most complex one they have seen so far.” The distribution of mines leads to the impression that not every individual IS fighter simply installed bombs but that they followed precise orders from above. “There seem to have been IEDs ready-made and in great quantities, which then simply needed to be installed,” reports David Johnson, vice-president for strategic development at Janus. The mines were not only used militarily but also in a political manner: “The strategy here is to make people’s return more difficult and to destabilize the situation even after the Islamic State’s defeat.” All the more effort and time is now put into a quick clearance – so that those who have left may return home faster.